Just as important a part of Brazil’s early history as the Portuguese Crown was the Catholic Church and houses of worship form much of the landscape of Rio de Janeiro’s historical centre. Many of them are clustered around the Praca XV Novembre and the Paco Imperial. The history of Carmo church is as closely linked to Brazil’s as the Praca and the Paco. The ashes of Pedro Alvarez Cabral, who discovered the country, lie in the main crypt. The Portuguese Royal family worshipped here. Princess Isabella was married here and the ceremony of the anointing of the Emperors Pedro I and Pedro II took place here.. In its 250 year life, many Rio babies’ heads have been wet at the beautiful marble baptismal font, many young Carioca brides have walked down the aisle under the magnificent painted ceiling, to their groom, waiting at the silver ornamented altar. Just off Rua Premeiro de Marco in Rua Ouvidor, is the Igreja Nossa Senhora da Lapa dos Mercadores. Built by the local congregation of street vendors, it is far more modest shrine than Nossa Senhora do Carmo da Antigua Se. 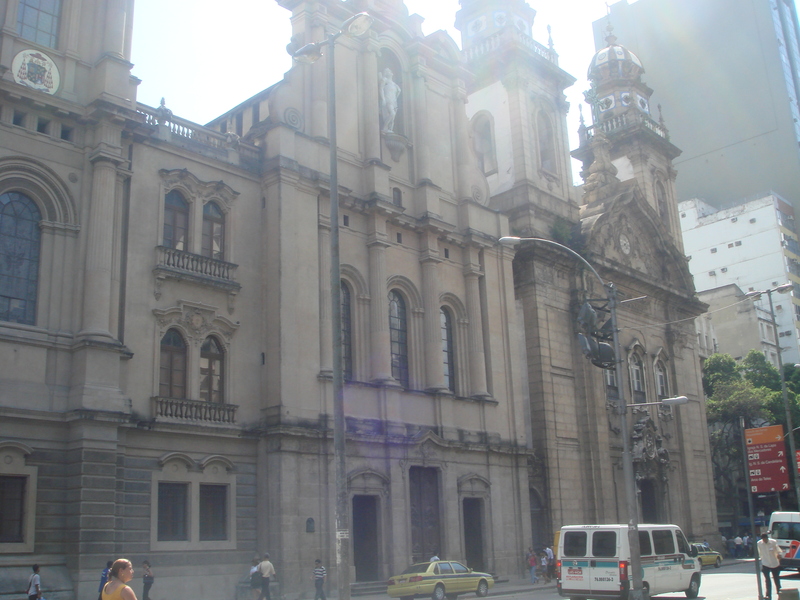 Still, with its exquisite carved wooden ceilings and walls as well as its stunning sacristy skylight, it is considered by many to be one of the most beautiful churches in Rio. Although the church saw no great royal occasions, it was however, touched by an important piece of Brasilian history and still today bears the mark. During the Naval revolt of 1893, cannon fire toppled the marble statue of the Madonna from the bell tower. The Madonna survived and was restored to the tower and the cannonball now rests in the sacristy. 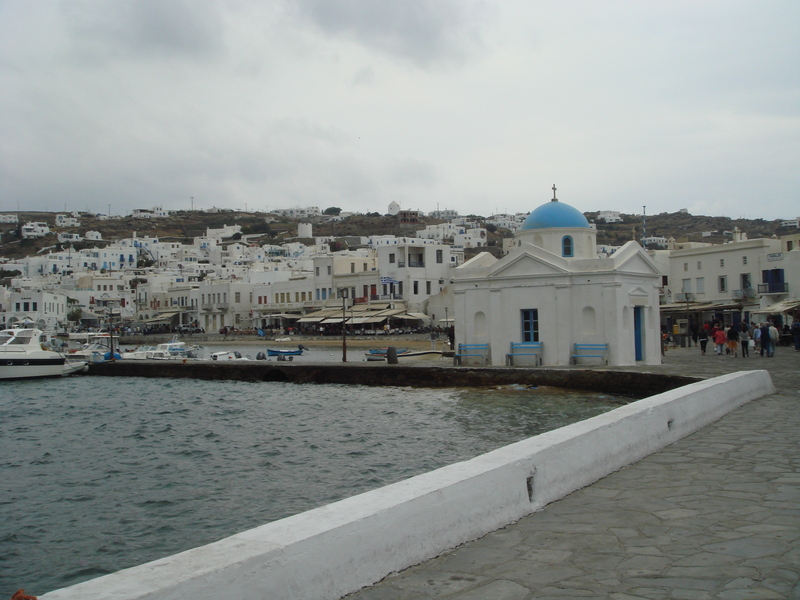 The gods have always been at the centre of life on Mykonos and since the beginning of time the people of the island have built temples, shrines and churches to honour them. Nowadays, Mykonos is home to more than a thousand churches. 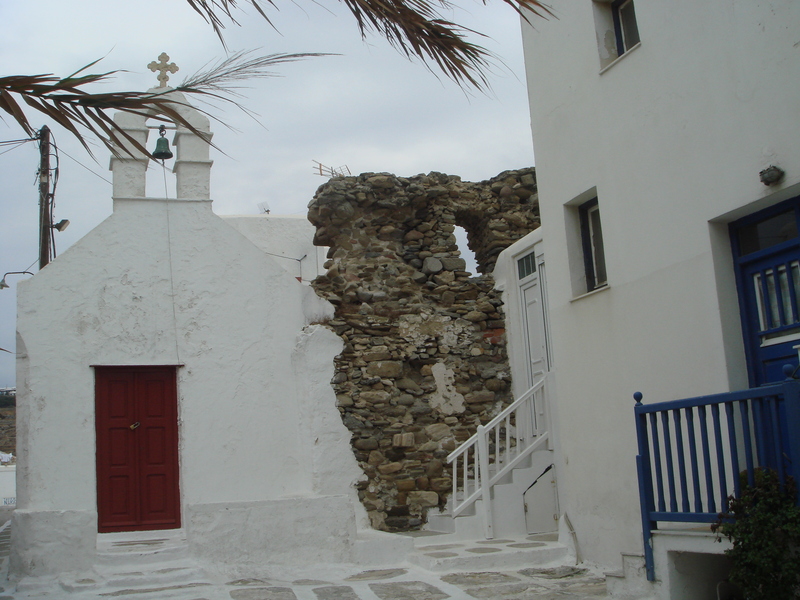 Most of the churches on Mykonos are small, private chapels which sit close beside the homes of the families who built them. Here, the bones of ancestors find their final resting place in crypts, or ossuaries and their lives are commemorated here. Family worship is observed and family occasions, like baptisms, marriages and name days are celebrated in these little chapels. Other churches serve special groups, like the fishermen’s chapel, Agios Nikolakis, down at the edge of the sea on Akti Kambani. Others again serve neighbourhoods and villages for worship, baptisms, marriages and funerals. And every year, on the feast day of the saint to whom the church is dedicated, a spectacular festival is staged. Although, on the outside, they almost all observe the modest traditions of Cycladic architecture, inside nothing is spared in the decoration. Religious paintings, wood-carvings, gold and silver filigree, tapestry and holy icons all contribute to give each church its own unique beauty. On Sunday morning of our stay on Mykonos, the sky was blue, the sun was dancing on the sea and the church bells were ringing. It’s September and the tourist season is almost over. Only a handful of travellers trickle off the ferry at the port of Mykonos. Hundreds of bronzed backpackers and party people with sun-bleached hair surge up the gangplank for the return journey to Athens. They are taking the blue skies and sunshine with them. The hills loom beyond the port, dark and forbidding against a heavy, grey sky. They are strewn with huge boulders, thrown down, according to legend, by the gods, in a battle long, long ago. Low stone houses glow, white against the cliffs, their blue shutters closed against the cold. Weeks, or perhaps even days ago, they would have sparkled in the sunlight, their doors and windows open to the breeze.